There's nothing more capable of getting fashion girls in the holiday spirit than a handful of winter street style shots. 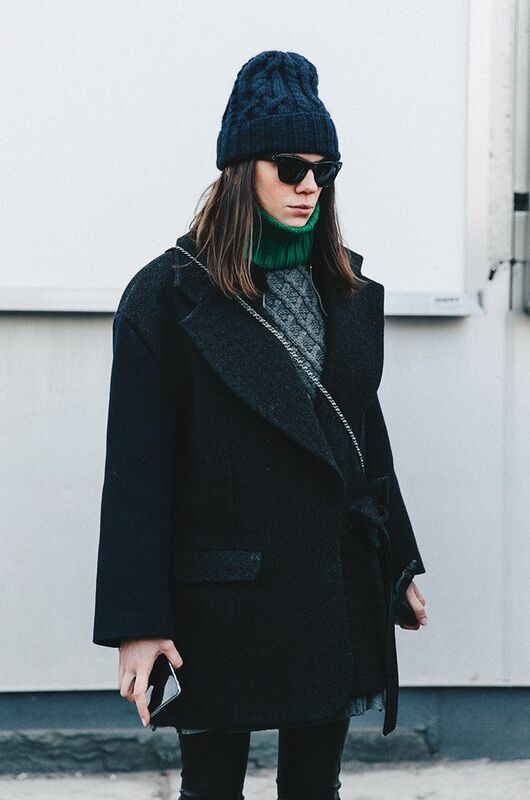 Sweaters, beanies, scarves, and statement coats galore always manage to photograph beautifully, and thanks to the sartorial set of women donning them, these winter pieces layer together effortlessly, giving us outfit ideas for months on end. Since we know that finding fresh ways to bundle up in the colder months can be a challenge, there's no doubt that the stunning ensembles ahead will come in handy. After going back through the archives, we rounded up the winter street style shots from 2016 that will have fashion girls swooning for puffer jackets, boots, and maybe even more snow. If there were ever a time to intentionally bookmark outfit ideas, it's now. Are you ready to enter into this fashion winter wonderland? Keep reading to see the street style shots fashion girls will absolutely love. Shop the under-$100 sweaters perfect for layering!